Want to know how to improve your acquisitions in Real Estate? Don't know what to do in order to get cheaper prices on the buy side, and sell for better prices on your exit? Steve Goldstein is here to show you top sales strategies to get the snowball moving! 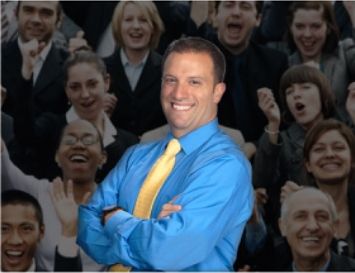 Steve Goldstein is a sales success coach and motivational speaker that can help you achieve real results! As a former top sales leader for the largest privately held medical supplier, Steve wishes to share the secrets of his success. Steve accomplishes this by serving individual clients and corporations as a success coach. Steve also hosts seminars and workshops to high-powered sales professionals. Steve was born in Chicago and grew up in Northbrook, Illinois. He graduated from Indiana University and took a position at Medline Industries in Medical Sales. He worked there for 20 years, most recently as VP of Sales, covering 50 states, Latin America, and Canada. He has now started his own business, Gold Selling Success LLC. There is a lot to learn here, don't miss it!